Here’s why it’s a good idea …. (The server was upgraded on the 23rd of May. 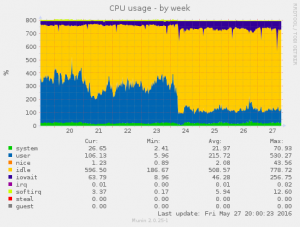 The graph shows CPU time – where yellow is idle and blue+green are used/busy).